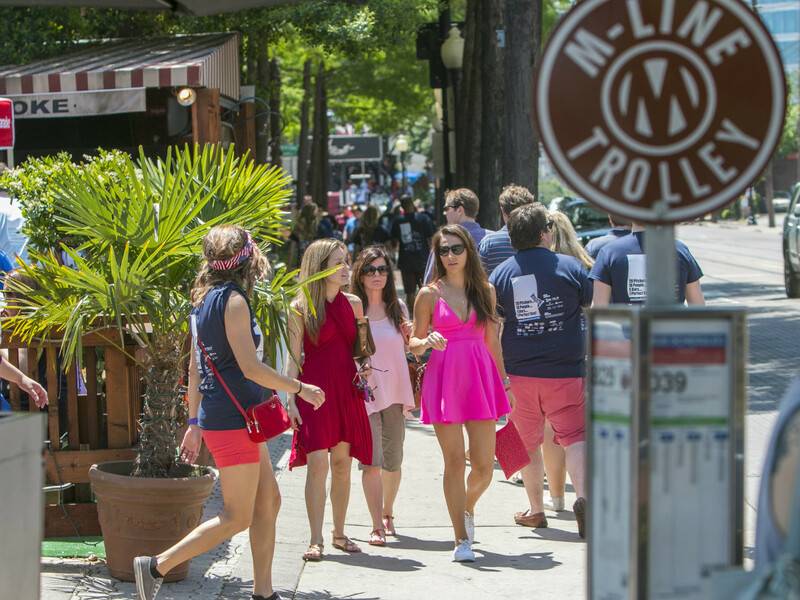 Uptown's resident population has increased 66 percent since 2010. Photo courtesy of Uptown Dallas Inc. 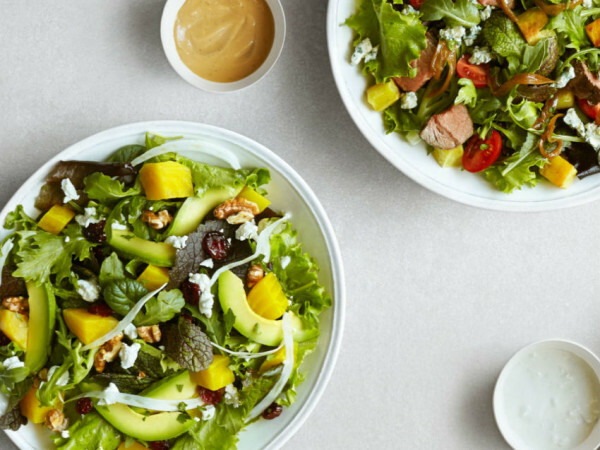 There are more than 200 restaurants and bars to visit. 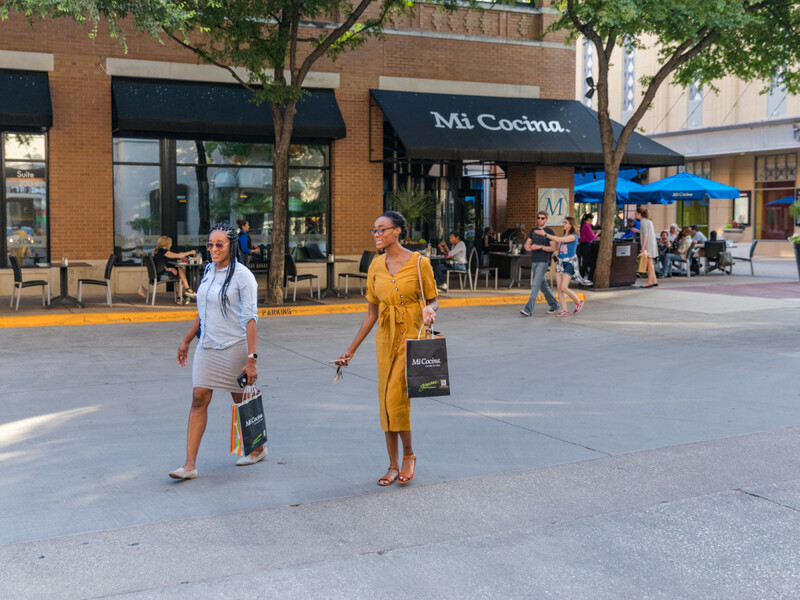 Photo courtesy of Uptown Dallas, Inc.
More than 645,000 square feet of repaired sidewalk makes Uptown easy to traverse on foot. Photo courtesy of Uptown Dallas Inc. 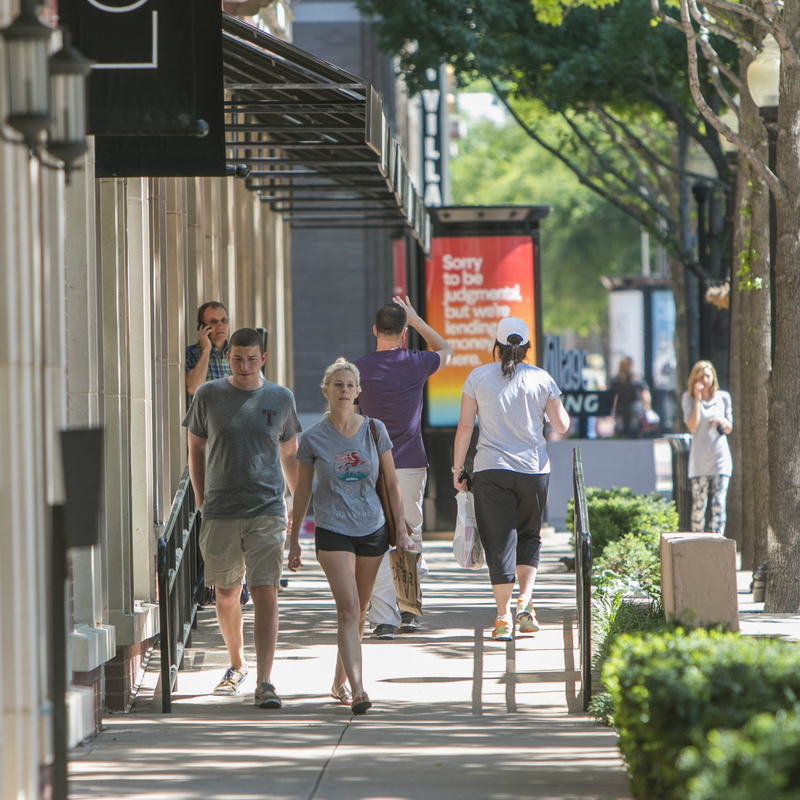 The area of Dallas known as Uptown has been around for approximately 130 years, but it's the bustling, welcoming, and ever-growing neighborhood we know and love today largely thanks to Uptown Dallas, Inc. Since UDI's inception in 1993, the public improvement district has ensured that the Uptown neighborhood continues to improve — today, Uptown is 99 percent developed and at 96 percent occupancy. The total property value of Uptown exceeds a whopping $5.5 billion, which is an increase of 15 percent in the past two years alone. Take a look at what other mind-blowing numbers Uptown can claim. The neighborhood's resident population of 19,000 has increased 66 percent since just 2010. 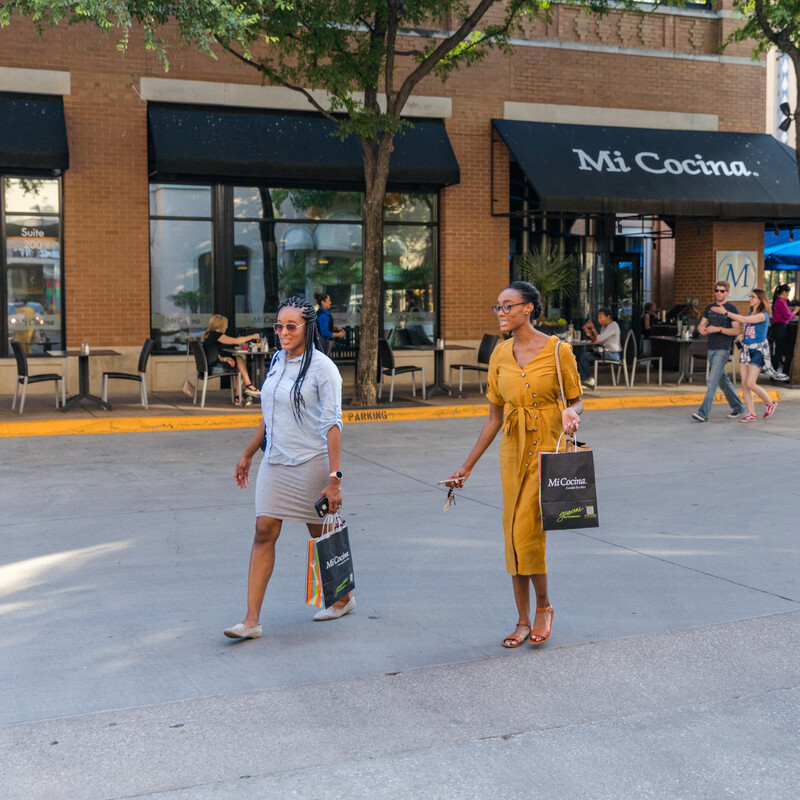 You might think that's mostly single millennials, since 85 percent of millennials aged 25-34 say they prefer the urban living experience, but families are actually the fastest growing demographic in Uptown. These growing families also have access to four early childhood education programs, all within one mile of Uptown. 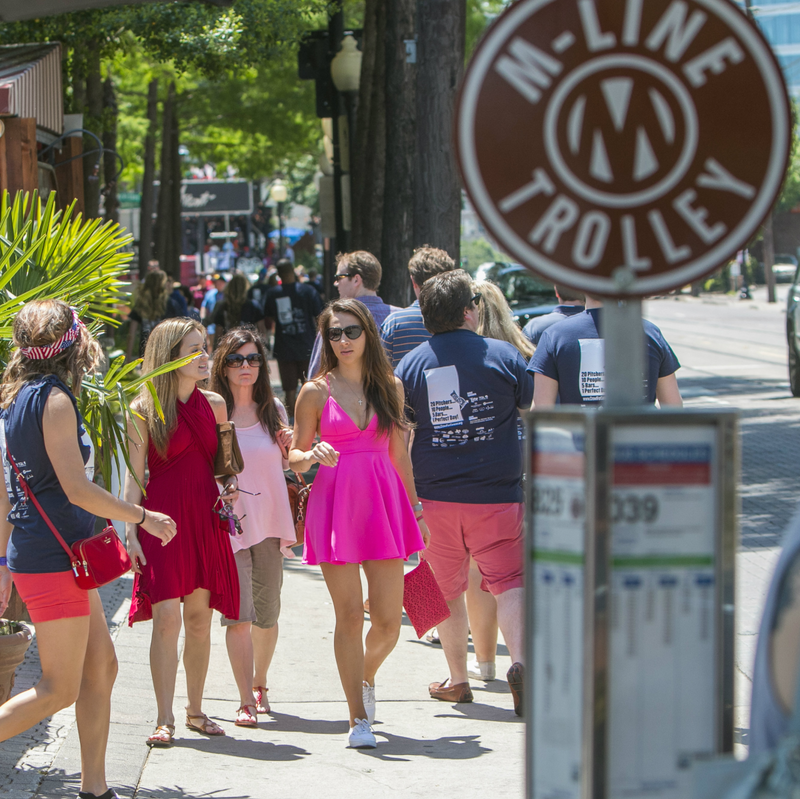 During the day, more than 30,000 people enjoy trekking around the neighborhood, thanks to over 645,000 square feet of repaired sidewalks that have earned the area an impressive Walk Score of 92. An important part of urban living is having access to green space, and in Uptown you'll find 58.2 acres of lush, verdant parks in its 591.8 total acres (that's just about 10 percent). In 2017 alone, UDI planted and maintained more than 30,000 flowers to keep Uptown beautiful and welcoming. Another way UDI's keeping things clean? Removing more than 2,506 graffiti marks and providing 44,000 pet waste removal bags in 2017. A recent increase in hourly police patrol has put officers on the streets for more than 3,150 hours, helping residents and visitors feel safe around the clock as they visit the more than 200 restaurants and bars and more than 150 retail shops. 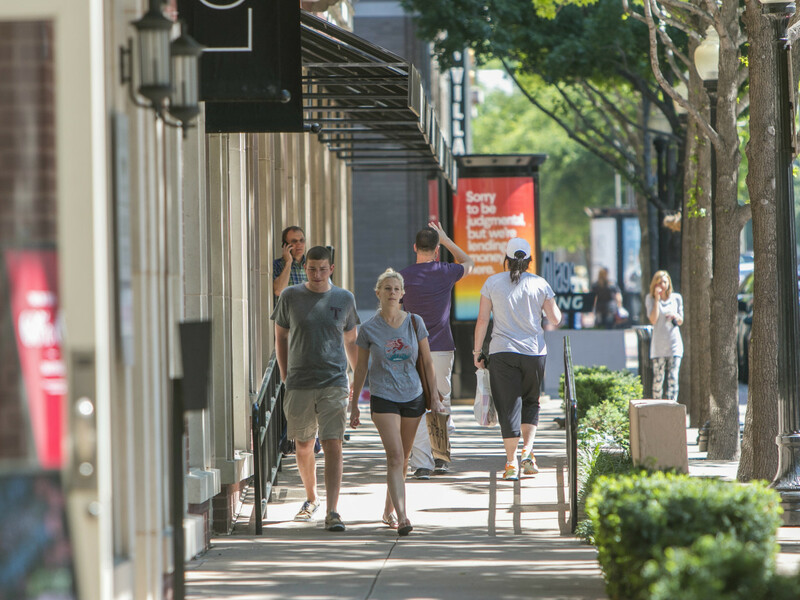 There are more than 50 arts and culture locations in Uptown, from theaters to the largest collection of Victorian-era homes remaining in Dallas. Those who are health and fitness-minded can choose from over 130 fitness studios and gyms, or explore the urban outdoors along the 3.5 miles of the Katy Trail that run along the westernmost tip of Uptown. In just 25 years, UDI has had a tremendous effect on the growth, culture, and beauty of one of Dallas' most popular neighborhoods. To learn more and to follow the continued growth of Uptown, visit www.uptowndallas.net or follow UDI on Twitter, Instagram, and Facebook.